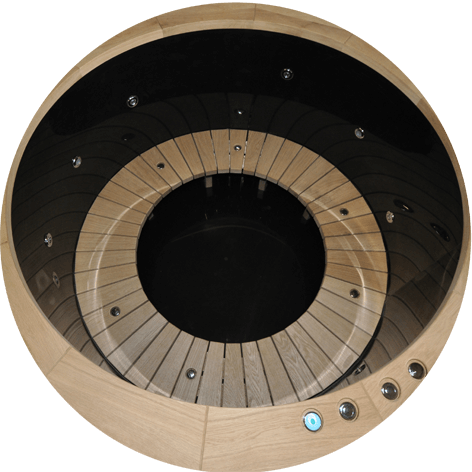 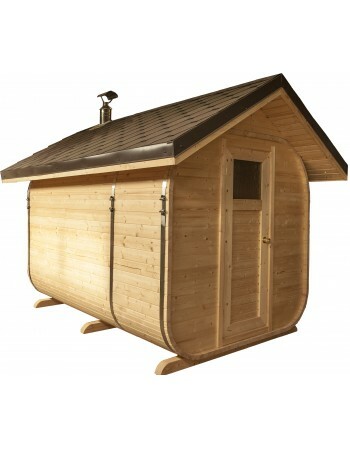 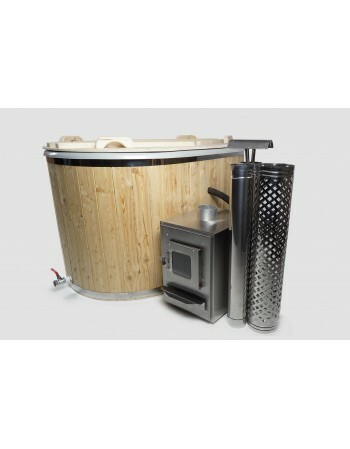 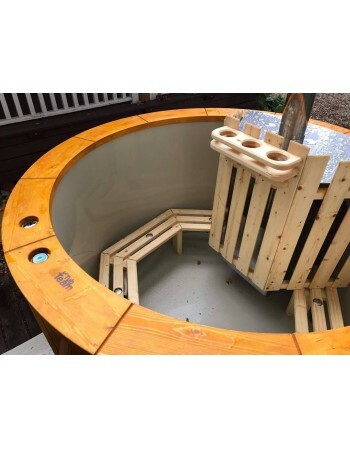 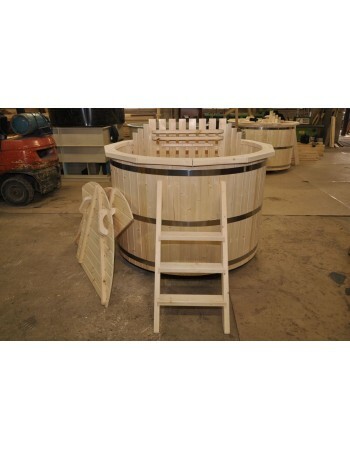 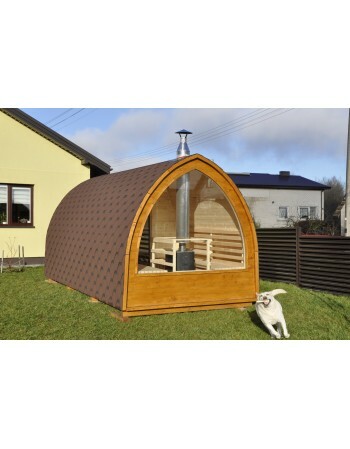 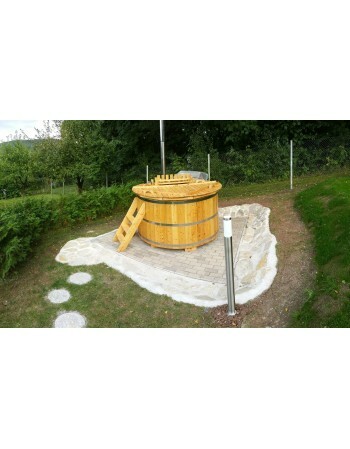 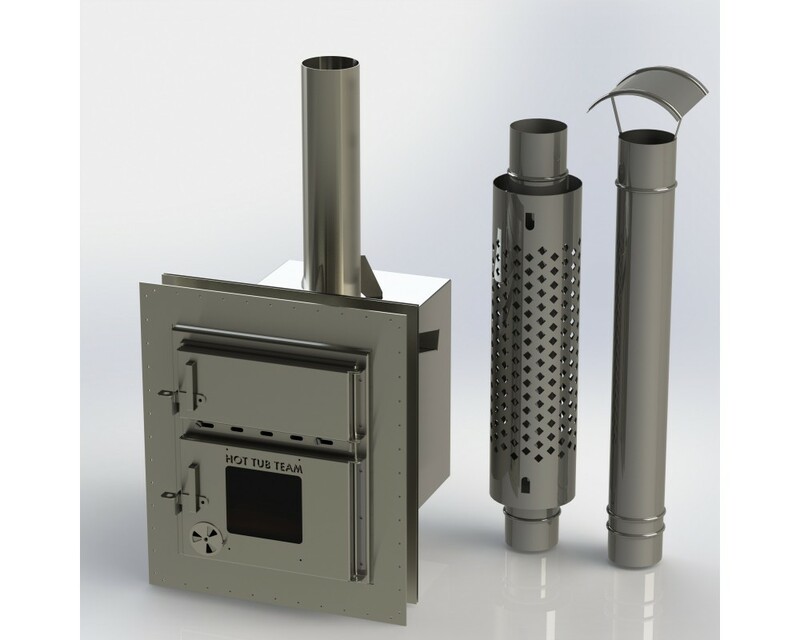 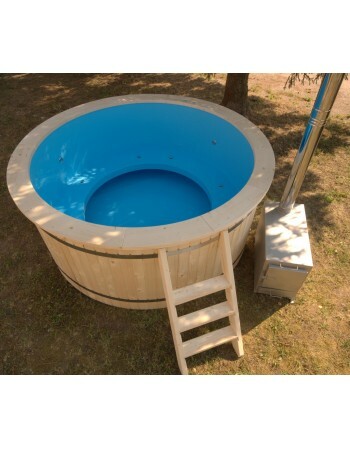 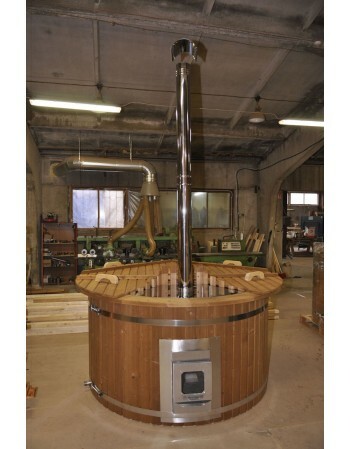 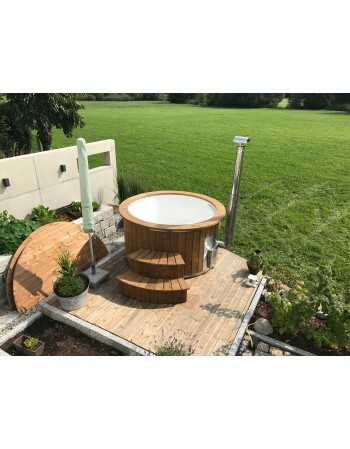 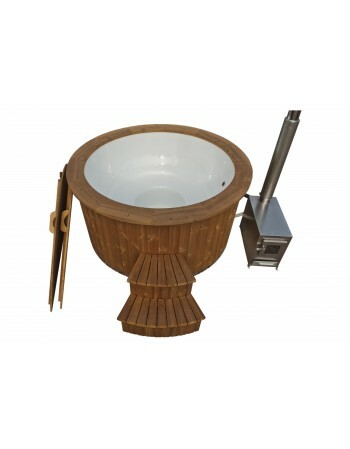 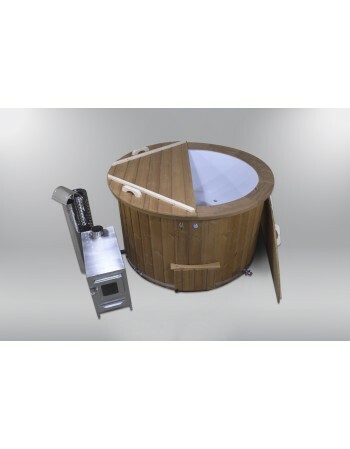 Wood fired Fiberglass hot tub perfect size for family. 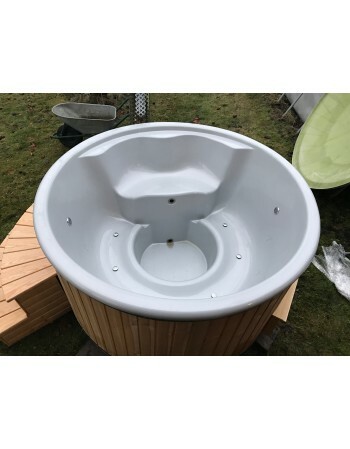 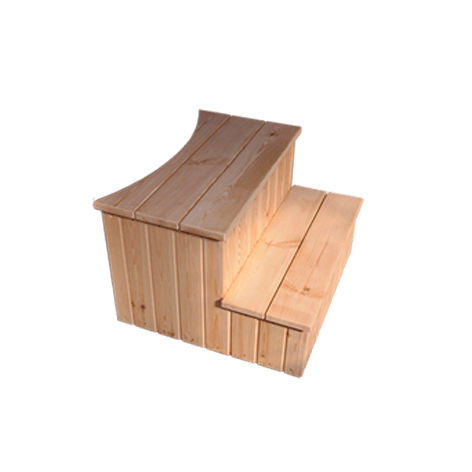 Rectangular tub with plastic inside and wood trim. 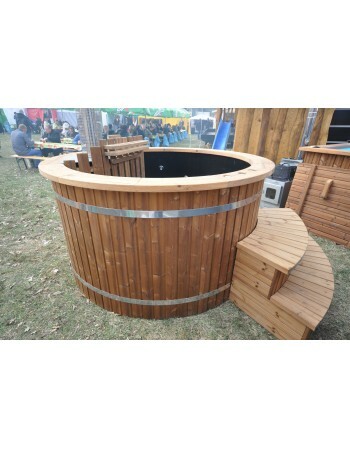 Big hot tub for 10-12 persons. 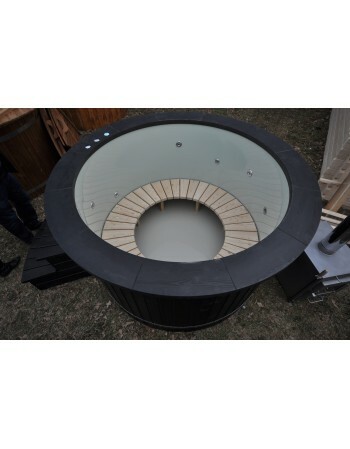 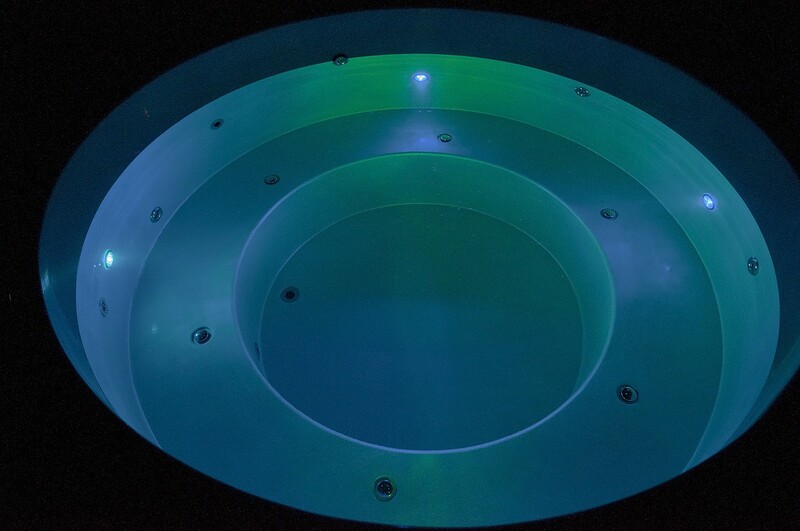 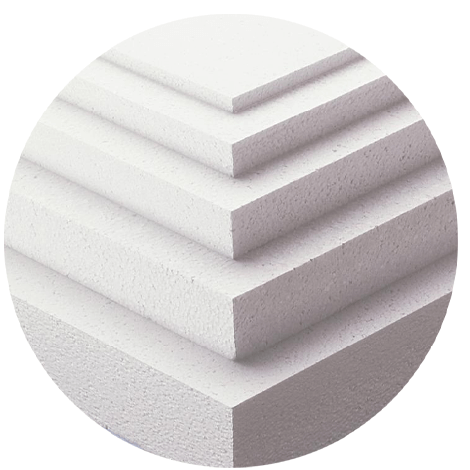 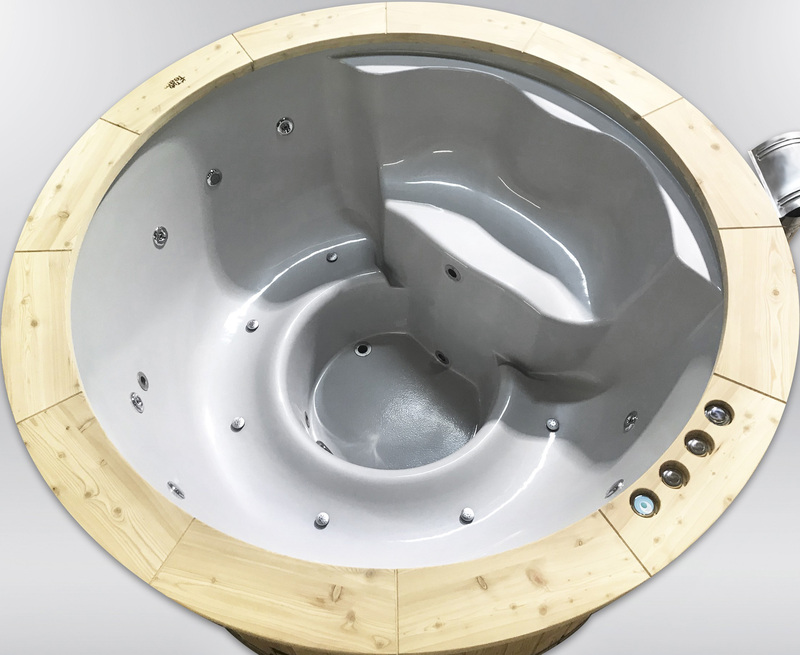 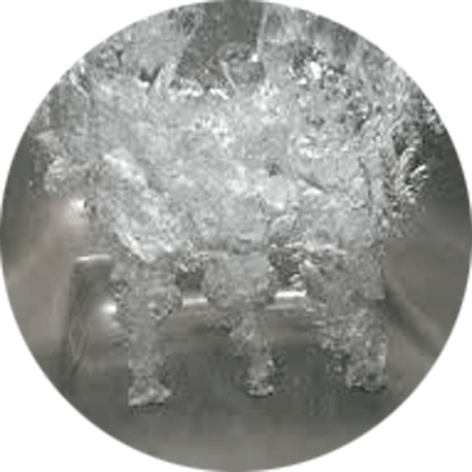 Fiberglass hot tub for parties!